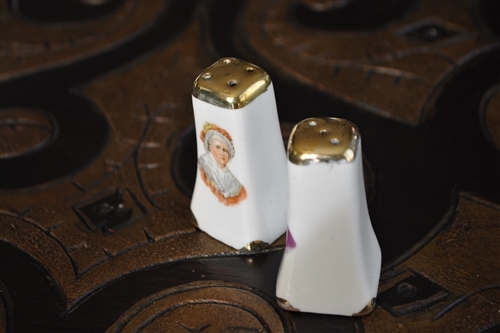 Beautiful vintage set of salt and pepper shakers. 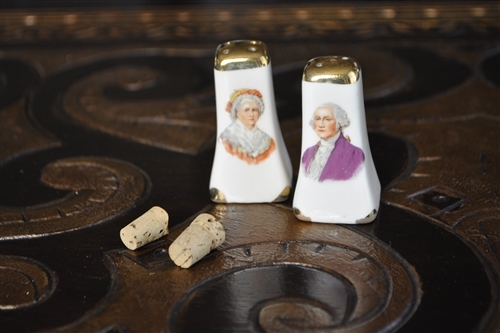 Porcelain shaker with gold embossments and George and Martha Washington portraits. 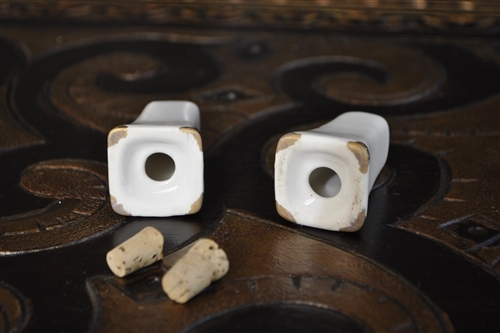 Cork stoppers included. No mark. Each one is 2-1/4" tall. Slimmer top with wider base. Lenox Eiffel Tower porcelain shaker. Large Rooster porcelain Shaker, very cute. Anchor Hocking glass jar salt or pepper shaker, 1986. Nate Berkus metal LIONS salt and pepper shakers set. 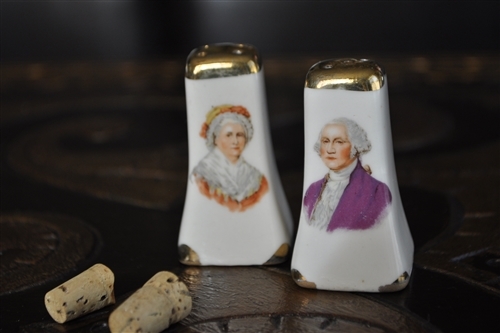 Porcelain Washington US Capitol shaker from Silberne, Japan. Tall Industial style salt or pepper shaker with original top. 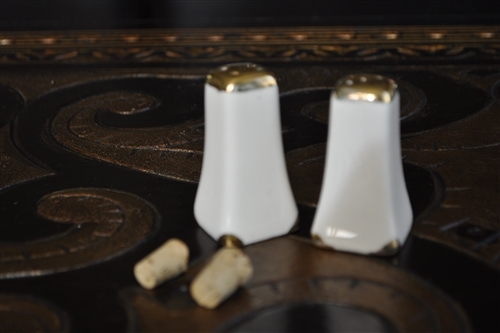 Vintage porclain Chefs salt and pepper shakers Japan. 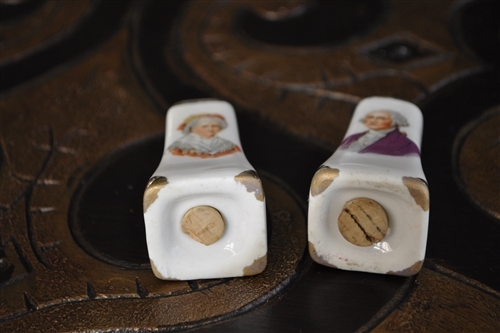 RARE find REVELATION porcelain lidded jar and two salt and pepper shakers, 1930s. SET OF 3 items.